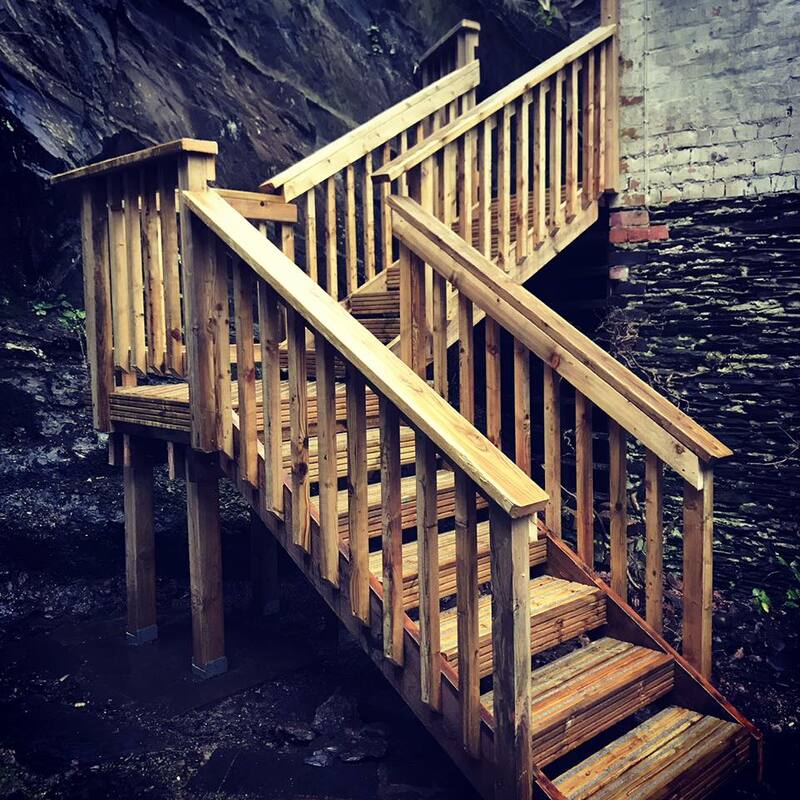 We've built a few sets of stair and ramps using the Gripsure Non slip deck boards now and they really do what the name says! One of our customers on this job had taken a nasty fall down the existing staircase due to slippy treads, (caused by the North facing sheltered garden) and so asked us to redesign their garden access for them. 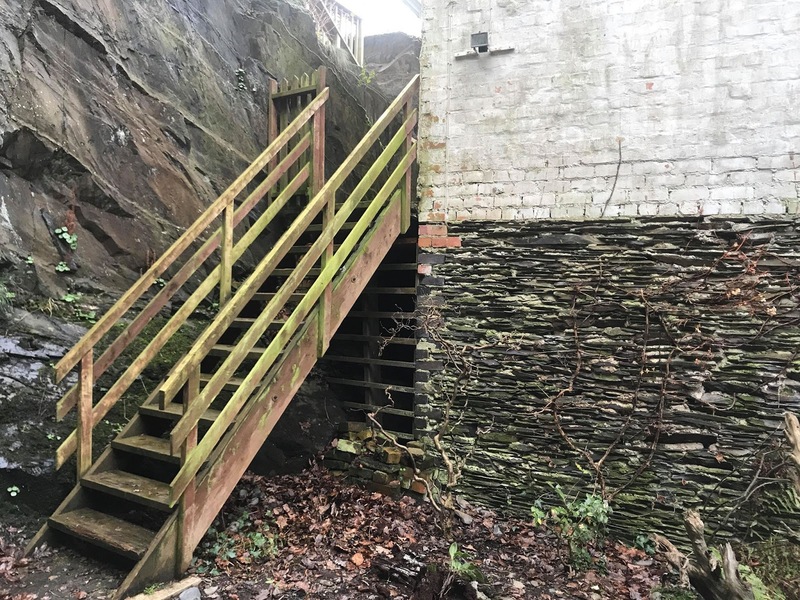 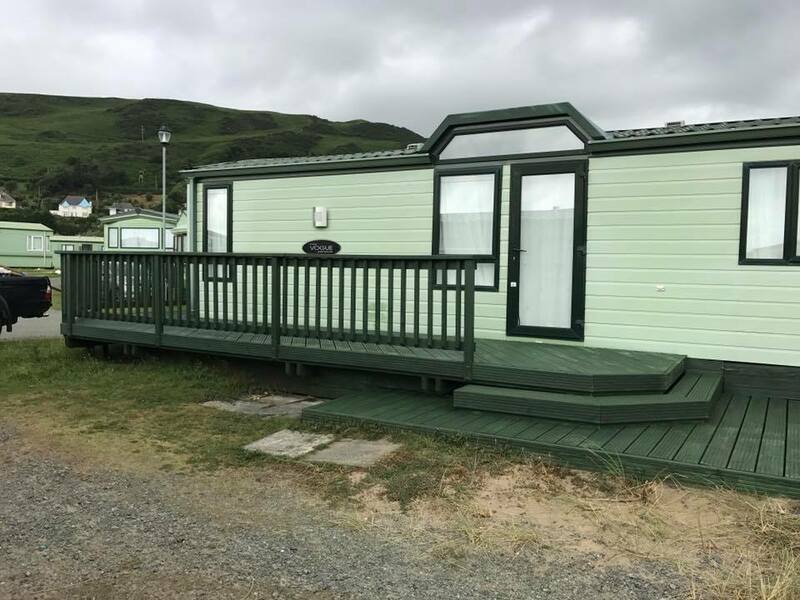 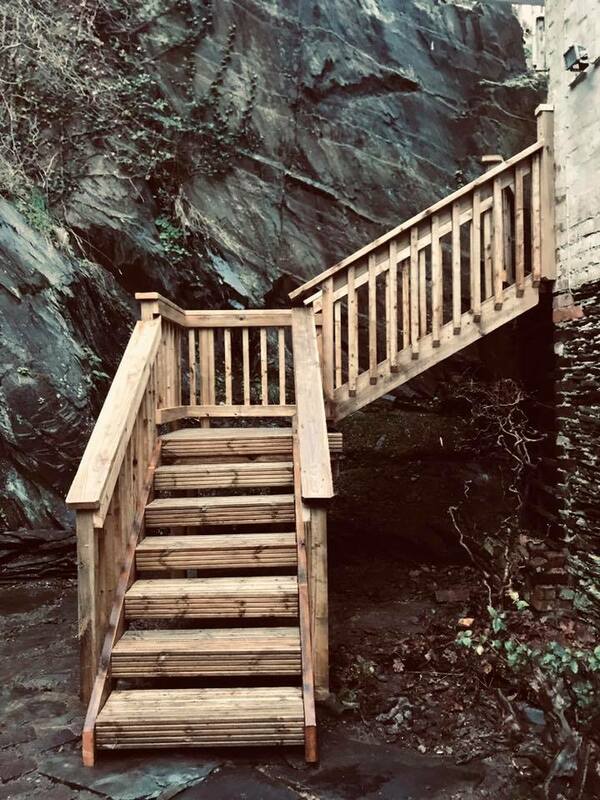 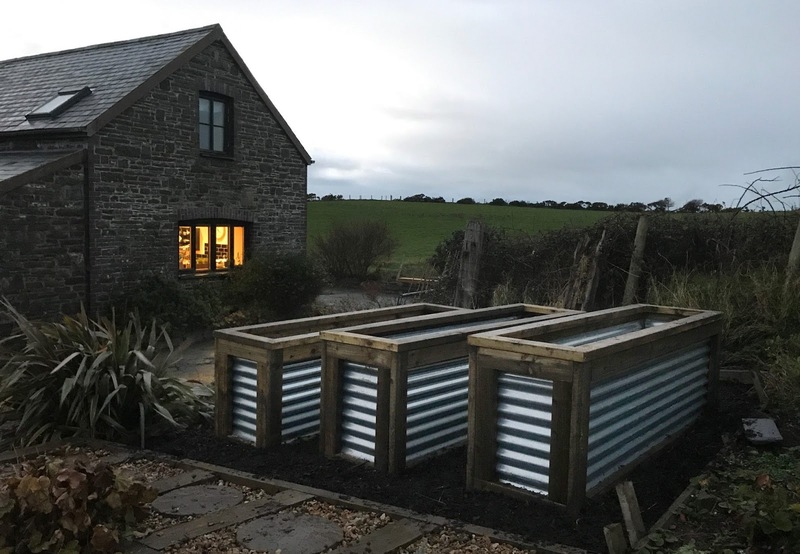 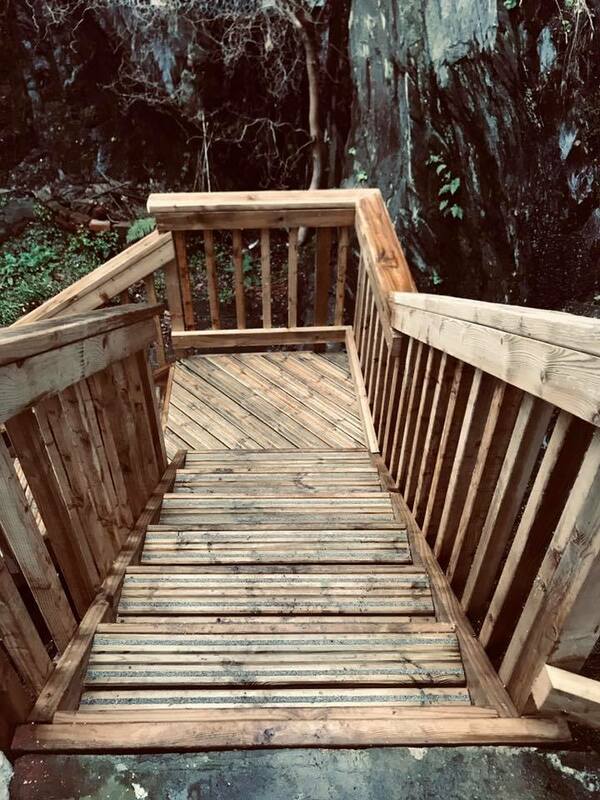 As well as using the non slip deck boards we re-designed the staircase and added a landing at the half way point to allow some 'down' time on the way down. 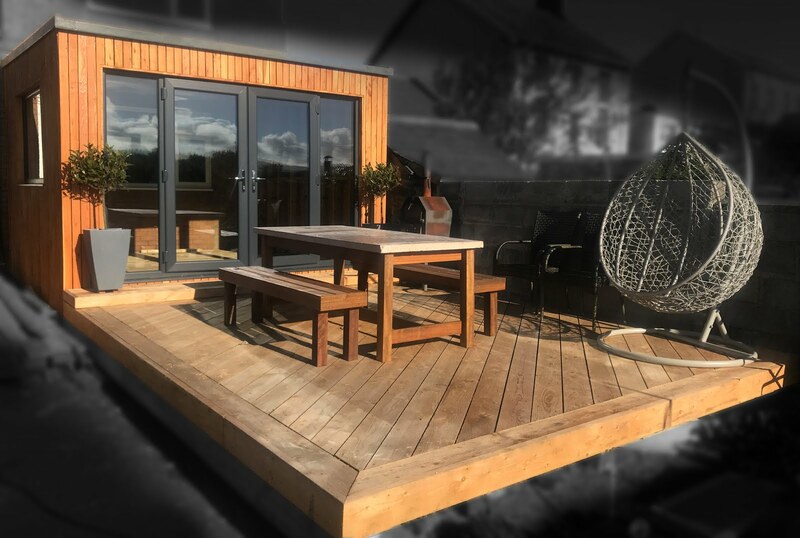 Our Gripsure deckboards are supplied by our local Travis Perkins branch, for more info follow the link.